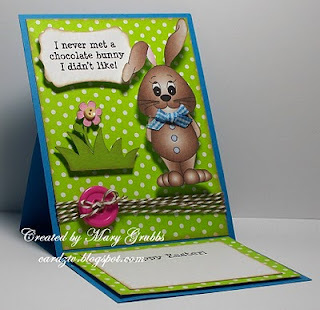 I hope you enjoyed it and will stop by Marys blog to see her other fun and creative videos. What a pretty card, but I will not purchase a Cricut Cartridge...I'll check the blogs I follow for a SCAL or MTC file to use on my Cricut Expression...:-D Thank you for sharing your video though. Thank you G-ma! It should be easy to find grass and a flower on SCAL or MTC, and check out Wendy's background digi's too!! As usual, your card is awesome! Thanks for sharing. Is there a place to get the printed measurements?